minor girls in a flat where they were kept. Childline with the help of Vasco police had rescued eight minor girls between six and 12 years, reportedly with injuries, late Saturday night from a flat in Baina. According to Vasco police, the case came to light when the minor children had gone to a church in Vasco where some locals saw burn marks on their hands. On questioning, one of the children disclosed their torturous ordeal they went through. The locals informed the Childline which swung into action.Though the minor girls were rescued on Saturday, no offence was registered till late night as primary investigations were underway and statements were being recorded at Vasco police station. Vasco PI Nolasco Raposo revealed that the eight minor girls were confined in a flat at Baina and around six of them were having injuries on hands and legs. 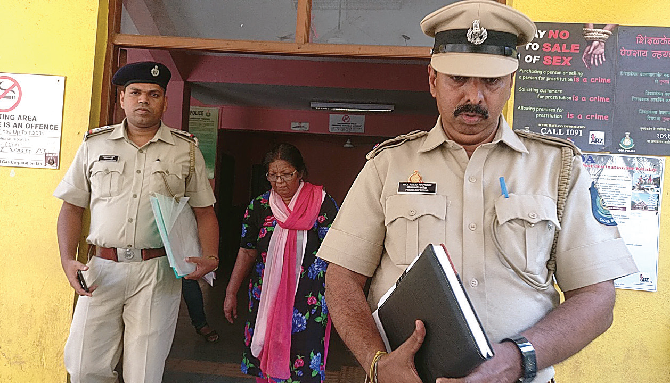 “Upon receipt of information and a phone call from Panjim PCR informing it about minor girls in a flat, Vasco police led by PSI Ritesh Tari along with the NGO raided the place and found the minor girls,” PI Nolasco said. “On questioning, the minor girls disclosed that the accused Habib assaulted them with a pipe and also with a hot knife on their hands and legs. Subsequently, the Vasco police team and childline brought the minor girls and the accused to Vasco PS. The statements of the girls were recorded in the presence of the NGO (Childline) which registered a complain against Habib,” he disclosed. He said after recording of statements, the minor girls were taken for medical examination and later accommodated in the government Apna Ghar at Merces. He said out of the eight minor girls, six were found beaten up by the accused. “We are in the process of conducting a detailed panchanama and we are going to seal both the flats used by the accused lady to shelter the children and committing this serious offence. She will be presented before the JMFC court to obtain further remand,” Raposo informed.